Threaded rod is frequently metallic; steel, stainless steel and titanium rods are commonly available as well as aluminum, brass, bronze and copper. Non-metallic threaded rods are made of plastic, nylon, polyvinyl chloride (PVC) or synthetic rubber. In addition to length, diameter and material, thread direction is another important specification to consider when considering threaded rod. Right hand threads are tightened to a fastener with clockwise rotation; left hand threads, though less common, tighten with counterclockwise rotation and are beneficial for situations where vibration would loosen right handed threads. Some rods have right hand threading at one end and left hand threading at the other. Acme threading has a square flat surface on the threading peak; coarse and fine threads are available also. There are many uses for threaded rod across many categories of applications. They can be used with most standard fasteners and provide quick and easy disassembly or reassembly, so they are used to secure parts together and make repairs in the manufacturing, automotive and construction industries. They also serve in electrical, plumbing and hobby purposes. Because they are strong and can be cut and bent with simple tools, threaded rods find a wide assortment of uses. Threaded rods are typically fabricated through thread rolling, a process in which a die is pressed onto a rotating blank or workpiece. The force behind the die is gradually increased, which causes the die to effectively sink into the material and transfer its shape. 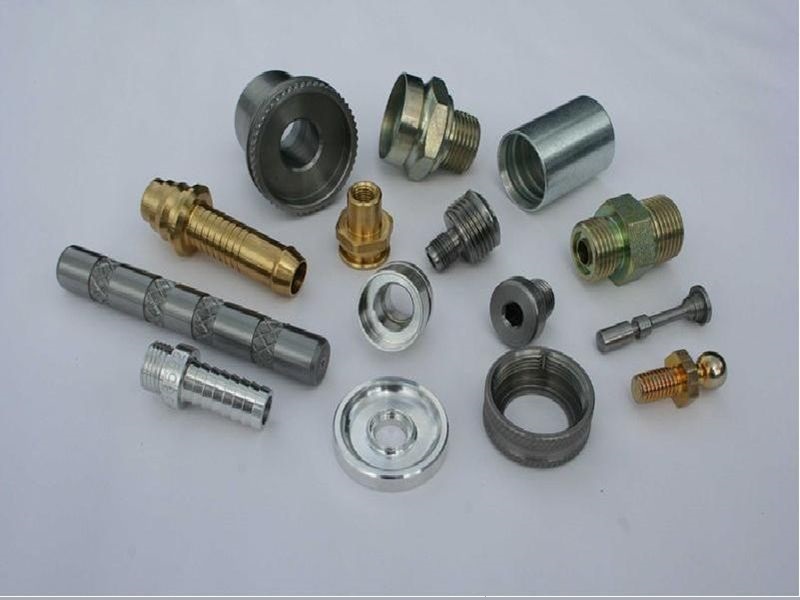 Because the workpiece is worked while cold, this process produces threaded parts with greater strengths, hardness and wear resistance. A thread rolled part has a larger diameter than the rod from which it was made, and this process wastes less material, sometimes saving up to 20% in material costs. Milling machines produce threaded rods larger than 1.5 inches and use a rotating blank to cut a thread into the workpiece. 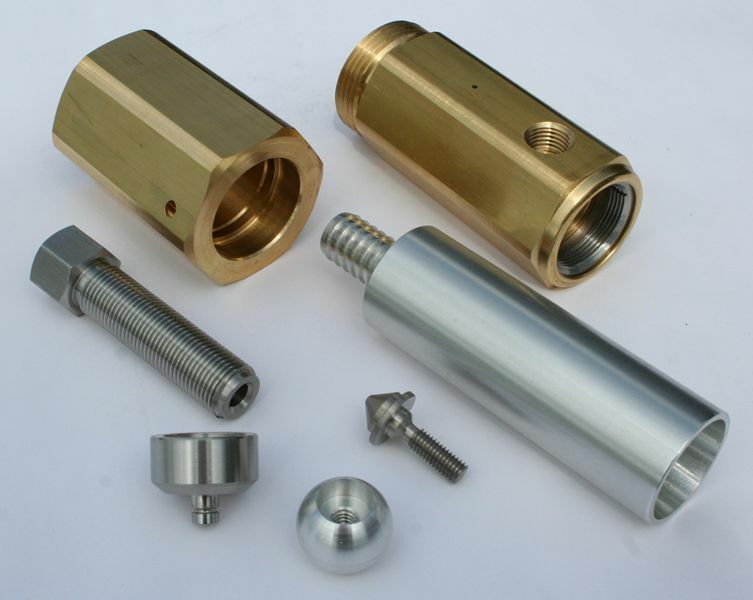 Other threaded parts such as screws are fabricated through screw machining, a process similar to milling, which removes selected material through use of an automated system to minimize human errors and produce precise parts. Threaded rods are helpful for many reasons but also must be recognized as a simple part. For example, a threaded rod cannot be substituted for a headed bolt when used as a high strength fastener because the rod has less strength and therefore may pose a danger. Grades of threaded rods help identify the best rod for an application. Threaded Rod Threaded rod is a fastening rod that has threading along its length. The length and diameter of the rod varies; it is usually sold in increments of three feet and is usually less than two inches across.